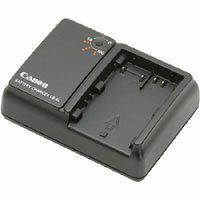 The Canon CB-5L Battery Charger is designed to take full advantage of high capacity rechargeable batteries. It has been specially designed to charge the Canon BP-511, 511A, 512, 514, 522 & 535 Batteries. Cable included.